An ASD system effectively prevents radon entry into a home by controlling the pressure differential that drives soil gas from beneath the home to the interior of the home. Radon is drawn from beneath the slab by a radon exhaust fan and the radon gas vents to the outdoor air above the home where it quickly dilutes into the atmosphere. The radon exhaust fan does not interfere with the heating and air conditioning of the home, so you are protected when the air is turned off and the windows are closed. This system also removes moisture and other pollutants that can enter the home from under the slab so that it improves the overall indoor air quality. Example: A 1500 square foot home with a poured basement. A 6” hole is cored through the concrete floor, in sometimes more than one location. Usually these locations are the corners of closets where the pipe can be concealed, or through existing utility chases. Approximately 15 to 25 gallons of soil is removed, creating a ‘suction pit’ or ‘suction point’. A 4” PVC bushing is installed in the hole and 3 or 4 inch PVC pipe is installed and extends vertically to the attic space above. The pipe is attached to the intake side of a radon exhaust fan which is mounted in the attic. The fan is then exhausted through the roof, again using either 3 or 4 inch PVC pipe, looking very similar to a typical plumbing vent. When the system is activated the fan suction creates a slight negative pressure below the slab and draws radon gas to the suction pit and up the pipe and vents it to the outside air where it quickly dilutes. Example: A 1500 square foot home with a poured basement. A 6” hole is cored through the basement slab, again sometimes in more than one location. There are no utility chases or closets aligning that would allow a concealed pipe to run to attic, or the attic space is insufficient to hold a radon exhaust fan. In this case the pipe is run through the rim joist to outside the house. The pipe is then connected to the intake side of a radon exhaust fan, which has been mounted on the exterior wall of the home. Since EPA protocol requires the exhaust to vent above the roof line, 3 or 4” PVC or decorative downspout is installed to extend vertically up the side of the building and around the overhang to terminate above the roof line. A home or building which has a crawlspace can be handled with a method called sub-membrane depressurization. This involves installing a network of corrugated pipe on the surface of the dirt floor. The entire dirt floor is then covered with a polyethylene vapor barrier (plastic sheeting). The plastic vapor barrier is completely sealed with caulk to crawlspace foundation walls and all seams and penetrations are sealed with caulk and tape. The corrugated pipe is connected to 3 or 4 inch PVC pipe that is run either into attic space or to outside of home through the rim joist. The pipe is further extended to outside house through the roof or above overhang if run outside. If the natural stack effect is sufficient to create enough negative pressure below plastic barrier to adequately remove the radon soil gases, the system is left to operate passively. If more suction is necessary a radon exhaust fan is added. Radon is a radioactive gas. You can’t see radon. And you can’t smell it or taste it. But it may be a problem in your home. It comes from the natural decay of uranium that is found in nearly all soils. It typically moves up through cracks and other holes in the foundation. Your home traps radon inside, where it can build up. Radon is estimated to cause many thousands of deaths each year. That’s because when you breathe air containing radon, you can get lung cancer. Only smoking causes more lung cancer deaths. 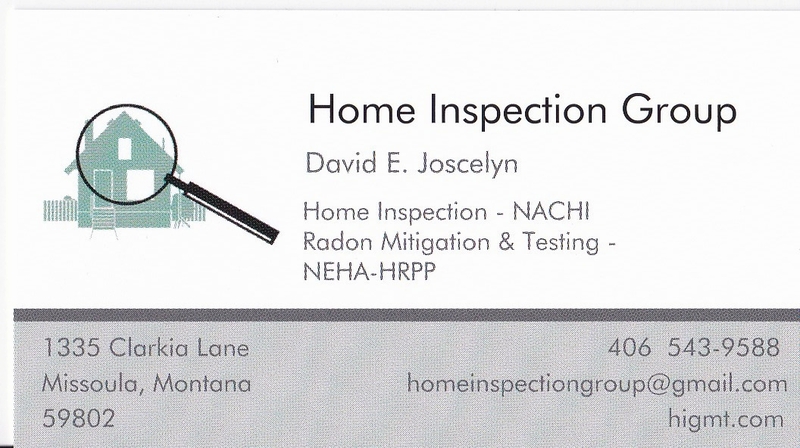 Radon control systems in no way diminish the dollar value of the home and are accepted nationally as a home improvement.